Do you love watching your favorite TV series or movies on your Android device? If so then you have come to the right place as we will be showing you how you can watch various forms of streaming content on your phone or tablet without paying a monthly subscription. All you need is access to a high speed Internet connection and you are good to go. 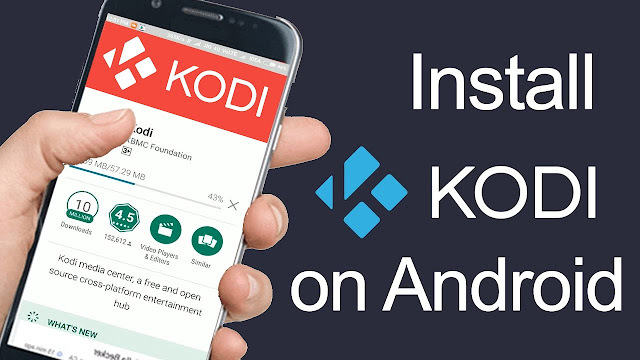 What you will need to install in your phone is an app called Kodi. This is a free and open source app which you can download over at the Google Play Store. This was originally created for the Microsoft Xbox and was previously called the Xbox Media Center (XBMC). Today, this software is being managed by the XBMC Foundation. When you install Kodi on your phone you still won’t be able to access the wide variety of streaming content. You will need to install an add-on called Exodus to this app. Take note that this addon will display content that is not officially licensed so it might be illegal in some areas. To install Exodus on Kodi just follow the steps listed below. Once you have finished the setup you should now have access to various streaming content by accessing Exodus from the add ons. If you have a Chromecast attached to your HDTV then you can enhance your viewing experience by casting the content playing on Kodi to a large screen. Lack of customization is a big issue in Android apps. Developers have to put restrictions in order to prevent user from creating holes in the OS by experimenting too much. This does makes sense for the average joe but for the power user, there is so much potential left unlocked. Lucky Patcher Comes into the picture here by allowing everyone to create their very own alterations within the apps. You can add/ remove multiple features from an application within a matter of minutes. The best thing about it is that its totally free. It reads the source file present in the app root directory and perform changes within it in order make your patch come true.